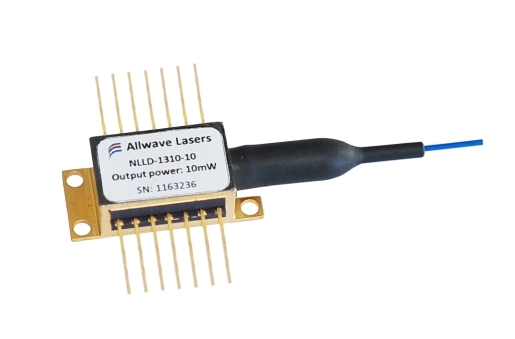 Allwave lasers社 Narrow Linewidth Laser Diodes | Allwave lasers | レーザー機器　専門商社｜株式会社アルクゥズ　ALQUZE Inc. 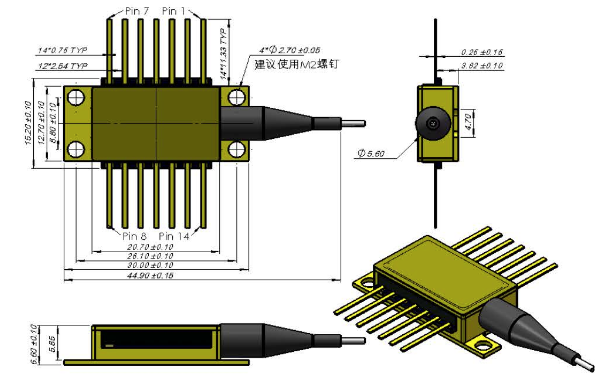 Product Descripition:The 50KHz NLLD laser diodes are FBG locked extemal cavity laser with direct modulation speed of 2.5GHz is cost effective solution for narrow linewidth coherent laser source. These laser diodes are fabricated in a hermetically sealed 14-pin butterfly package that contains thermoelectric cooler (TFE), thermistor, monitor photodiode, optical isolator. The NLLD provides substantially lower dispersion penalty and lower chirp than a directly modulated DFB. The wavelength stability is assured by design, eliminating the need for wavelength lockers and complex feedback control circuits.